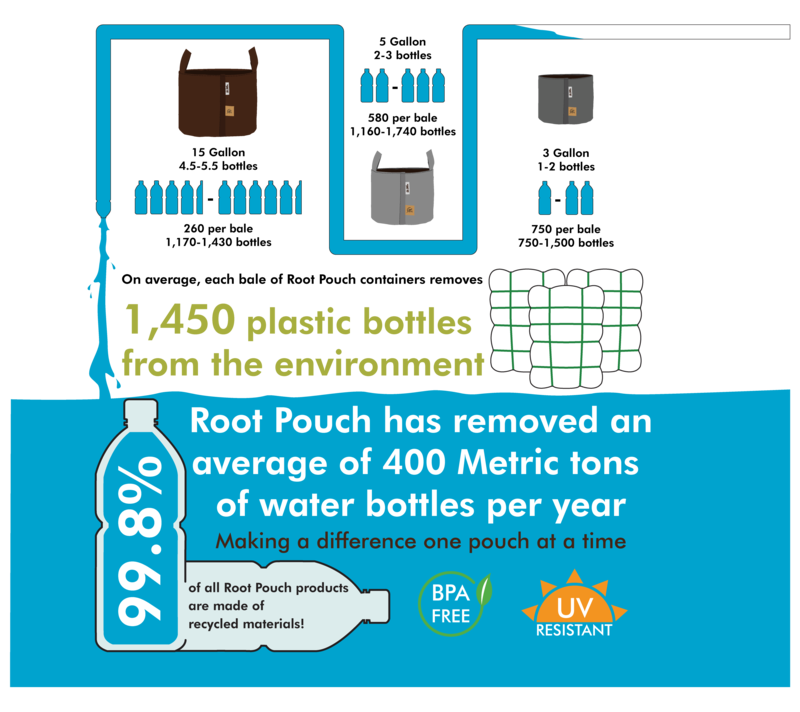 Root Pouch fabric planting containers are made out of recycled water bottles + natural fibers. 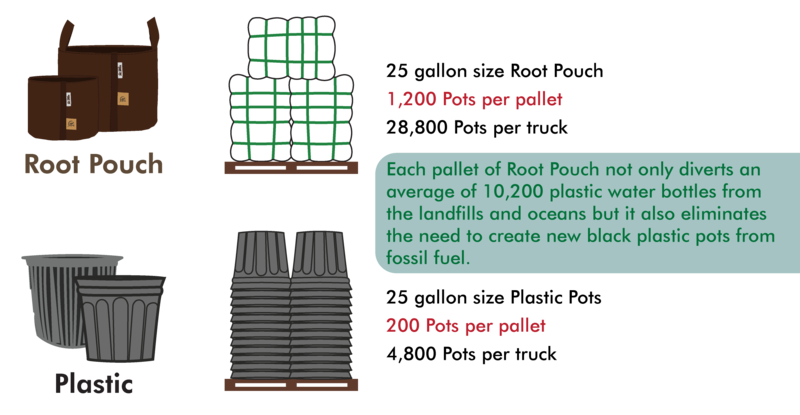 Root Pouch is the ONLY fabric made out of recycled bottles and not new fossil fuel. Root Pouches are folded and compressed into master bales. Bales allow for more Root Pouches to be shipped on a single pallet because we are not shipping air. Less storage and transportation space lowers costs substantially.